Apple cider vinegar is made from fermenting apples and has amazing health benefits. Drinking diluted apple cider vinegar can help to get rid of toxins from your body, assist in weight loss programs, and has cardiovascular benefits. So, you may be wondering how much apple cider vinegar you should drink to benefit your health. Drinking the right dosage of apple cider vinegar a day to stay healthy isn’t hard to do. At first, you might have to get used to the strong taste of diluted apple cider vinegar. However, you can add some delicious honey to improve its taste. This will help make sure that you are able to drink apple cider vinegar in the right quantities to benefit from it. Consuming very large amounts of apple cider vinegar (ACV) daily has been associated with a mineral imbalance in the body. But, apple cider vinegar dosage of 2-4 table spoons daily is generally a safe amount. There are also some precautions with the daily dose of apple cider vinegar to avoid damaging tooth enamel or upsetting your digestive system. Apple cider vinegar has been used for centuries as a health tonic and to help disinfect wounds. Apple cider vinegar is made from fermenting apples and adding bacteria which converts the alcohol to acetic acid. This results in a liquid that has antiseptic properties and healthy bacteria. You may be asking yourself “how much apple cider vinegar should I drink?” There is no official apple cider vinegar dosage per day but most people consume a dosage of 1-4 tablespoons of apple cider vinegar daily. Because diluted apple cider vinegar has a strong taste, many people start off by drinking small amounts of apple cider vinegar diluted in a glass of water. For example, you could start consuming 1 teaspoon of apple cider vinegar a day to begin with. Try this for a few days until you get used to the taste. Then, you could gradually increase the amount of ACV that you consume. It’s important to remember that not all apple cider vinegars are the same. Much of the apple cider vinegar that is sold in supermarkets has all the good bacteria removed from it. The “mother” looks like bits floating in the ACV when you shake the bottle. Apple cider vinegar then takes on a cloudy appearance. To help rid your body of toxins and detox your liver, you should drink 1-2 tablespoons of raw apple cider vinegar with the mother twice a day before your meals. 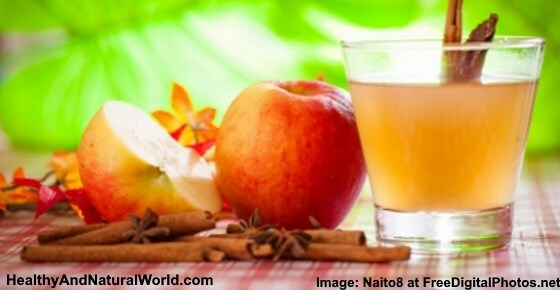 Drinking 2 glasses a day of diluted apple cider vinegar can actually help you to lose weight faster. Some people like to consume apple cider vinegar together with garcinia cambogia as part of their weight loss diet. Of course, just drinking apple cider vinegar without dieting and exercising won’t help you lose a lot of weight in a short amount of time. However, apple cider vinegar can help increase feelings of satiety and boost your metabolism. If you want to drink the right amounts of apple cider vinegar to lose weight, start by adding 1 teaspoon of apple cider vinegar to a cup of water before every meal. Then, increase the amount of vinegar per serving until you consume a daily amount of 2 tablespoons of ACV mixed with a cup of water. The fact that apple cider vinegar can help regulate blood sugar levels is good news for many who suffer from diabetes. A daily dose of drinking 1 or 2 tablespoons of diluted apple cider vinegar can help manage diabetes and improve insulin sensitivity. If you have diabetes, it’s important to follow the advice of your doctor. However, many doctors recommend certain foods that can help to control diabetes naturally. You could also check some delicious herbs and spices that assist in controlling diabetes. It’s also important for everyone to be aware of the warning signs of diabetes. For most people, the best way to drink apple cider vinegar is to dilute 1-2 tablespoons apple cider vinegar in a large glass of water. Adding some honey will not only improve the sharp taste of apple cider vinegar but will also add many other benefits. For example, drinking small amounts of apple cider vinegar before a meal could benefit your health. This is especially true if you are using ACV to lose weight, increase feelings of satiety after a meal, or regulate blood sugar levels. Drinking water with 1-2 tablespoons of apple cider vinegar before a meal helps you feel fuller for longer. If you are worried about the effect of apple cider vinegar on your teeth, you could swish some water around your mouth after drinking a glass, or simply use a straw. Also, avoid cleaning your teeth for 30 minutes after consuming ACV to prevent the acidity of vinegar affecting your teeth more. Some people like to consume apple cider vinegar pills in order to prevent potential damage to their teeth and to avoid the vinegar taste. Diabetes Care. 2004 Jan; 27(1): 281-282. Pak J Biol Sci.2008 Dec 1;11(23):2634-8. Diabetes Care 2007. Nov; 30(11): 2814-2815. Int J Obes. 2013 Aug.